Join us to celebrate the real heroes of the ocean! Across the country it is the towns and municipalities that have stepped up to the plate, done the dirty work and pushed for action to ban single-use plastic pollution. Massachusetts has 18 towns that have bans on plastic bags, bottles and polystyrene and on November 12, along with the Massachusetts Sierra Club and the office of Rep. Lori Ehrlich, Women Working for Oceans will host Heroes of the Ocean to honor their hard work. This event is FREE and open to the public. 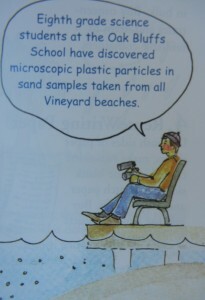 Like most beach communities, Martha’s Vineyards population swells in the summer. Renters descend and take advantage of MV’s beautiful setting. “Seasonal residents and tourists flock to the Island to bask and hike on its beaches, swim in its waters, catch and eat local fish and shellfish, and go boating on its sparkling bays”, reads The Island Blue Pages, a “phonebook” published by concerned locals wanting to education everyone on the Island about this vulnerable treasure. The Island Blue Pages is only a phonebook in such that every household on the Island received one free, with hopes that it would remain a guide for year round residents and everyone visiting the Island. 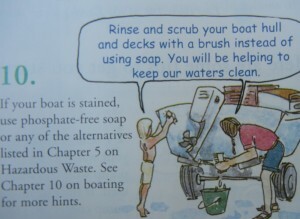 Yes, there is a list of phone numbers in its reference material, but mostly the book is a wonderful guide to the islands watersheds, sound water usage, and waste management. It even includes a “12 Step” program for “Dream Lawn Addicts” that guides homeowners and business to make smart pesticide free, water conscience lawn care choices. The idea for The Island Blue Pages ruminated in biologist and director of Martha’s Vineyard Shellfish Group Inc. Rick Karney’s mind for years. Each time he visited a hatchery or community near water, he picked up packets of information regarding best practices for the community around water usage and sustainable living. It was the Puget Sound Blue Pages that stood out as the most comprehensive and user friendly of any of the publications that he had seen. 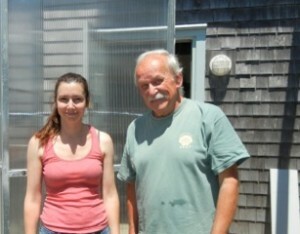 With funding through an EPA grant awarded to the Wampanoag Tribe of Gay Head (Aquinnah) and keen editing by Amandine Surier from Martha’s Vineyard Shellfish Group, The Island Blue Pages relied on local full time residence of the Vineyard to author each chapter making this a true community conservation effort. 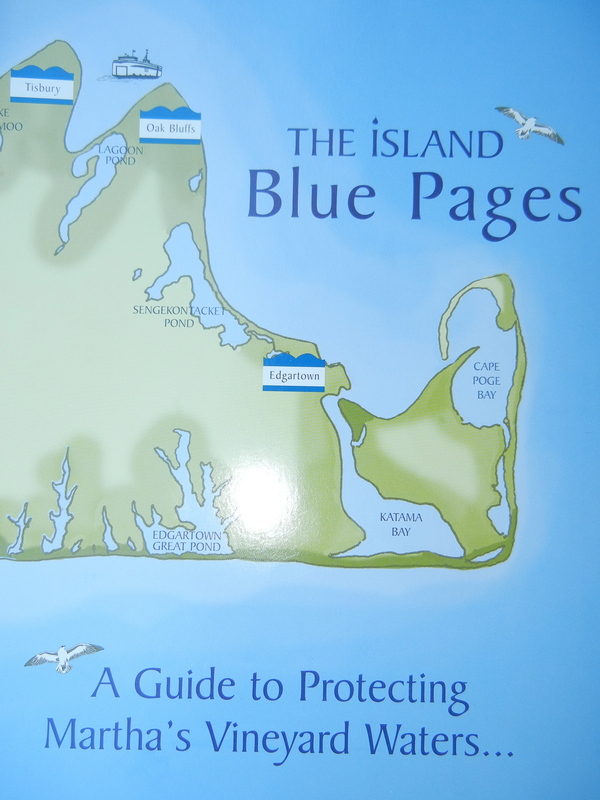 The unique layout of The Island Blue Pages appeals to all ages. The graphic are simple enough to engage a child but not “kid-ish” enough to turn off a teen. The layout is easy to navigate and engaging with enough science to satisfy the well versed hobby conservationist. The Island Blue Pages is tailored to Martha’s Vineyard specifically by including local stories and maps, but any community could adapt a version to represent its own environmental concerns. 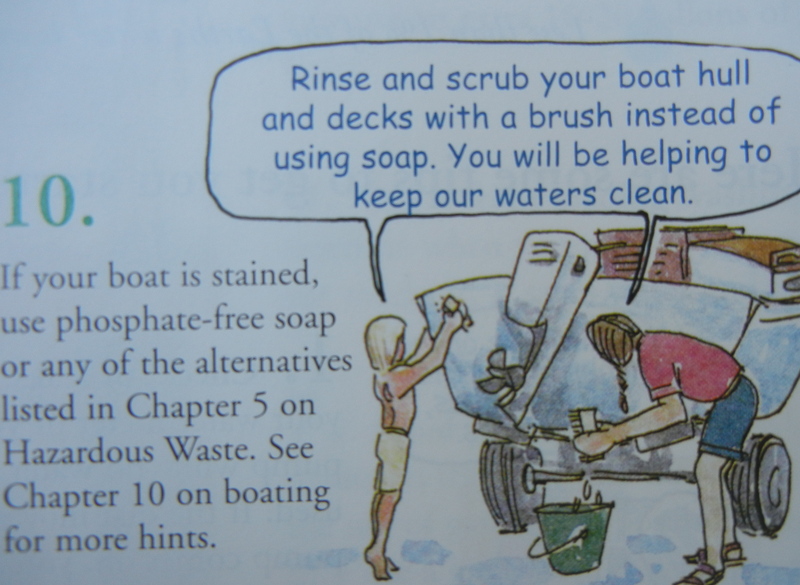 This wonderful reference book with tips on gardening, septic tanks, and boating includes a section about marine animals called “Vineyard Neighbor.” It should be poured over, updated regularly and passed from generation to generation.